Coolest thing I’ve seen in a while: High Resolution Mandelbrot code in Python. It renders the Mandelbrot set as a full-color, anti-aliased, 1500×1000 image. Fantastic. 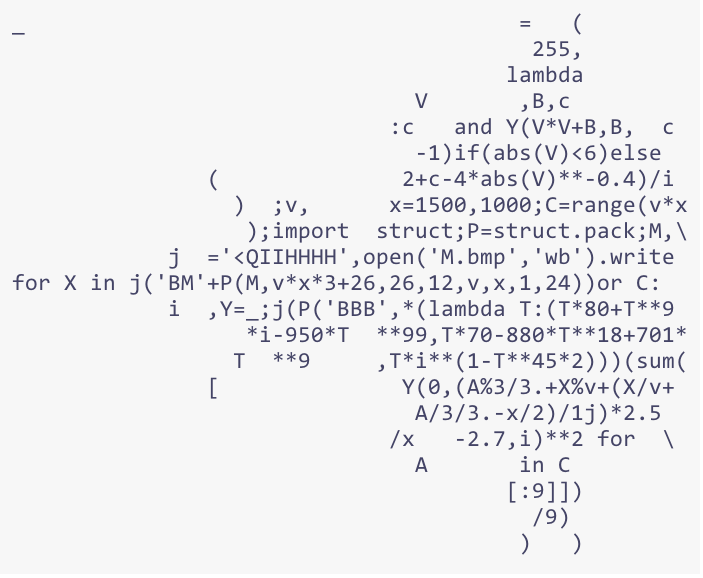 Notice that the code also looks likes the mandelbrot set. A true accomplishment with python being so fussy with indentation. Also neat posters with the Mandelbrot set and the code on one poster are available.